The Louisville Zoo Youth Board began as a 30-Member Board founded in 1993 for young people aged 13-18 under the guidance of Coordinator of Volunteers, Diane Taylor. The purpose of this group is to provide an opportunity for youth to develop leadership skills and to create a forum for youth to be actively involved with the Louisville Zoo. In the beginning, the Youth Board voted to make a pledge of $2,000 toward the Boma African Petting Zoo. To raise the funds, the Youth Board members began face painting guests for $1.00 each. After raising a quarter of their goal at their first event, Eggstravaganza, they voted to raise their pledge to $10,000 which they reached in only two years. From there the Youth Board has been going strong. In 1991, they expanded by adding sand art and tattoos to their services. To date the Youth Board has earned over $100,000. The Board currently has over 50 members with a President, Vice-President and Secretary who work long, hard hours. The Board takes an annual trip each year at end of summer paid from their earnings. In addition, the Youth Board also participates in the Louisville Zoo’s Adopt-a-Garden program. The Youth Board has made a huge impact on the Louisville Zoo. In addition to the services provided and money raised, several of our full-time keeper staff are past members of the Youth Board. In November of 2011, The Louisville Zoo Youth Board was awarded the Outstanding Youth in Philanthropy Award by the Association of Fundraising Professionals, Greater Louisville Chapter. Kentucky’s Zoo has a fine group of volunteers past and present who have always been and always will be apart of the Zoo’s mission statement “to better the bond between people and our planet.” The members have proven their commitment to the Louisville Zoo and animal conservation. 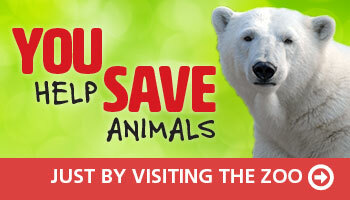 Together we will all be part of the Zoo’s future. You must be 13 years of age by June 1 of application year. Email mary.taylor@louisvilleky.gov for more information.